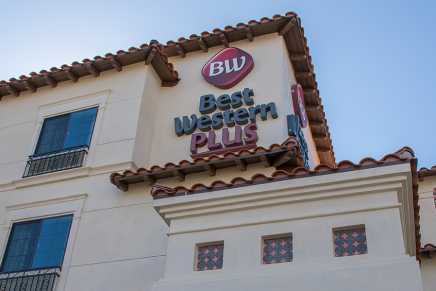 Centrally located in Temecula, the Best Western Plus Temecula Wine Country Hotel & Suites is convenient to Promenade, walking distance to Historic Old Town Temecula. 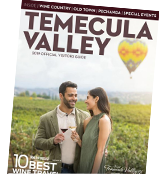 This hotel is within the vicinity of wineries, golf courses, antique shops, and just about the half point between Los Angeles and San Diego. Make yourself at home in one of the 60 air-conditioned guest rooms featuring refrigerators, microwaves and 55-inch LED televisions with cable programming to provide entertainment. Your room comes with a pillowtop bed and an iron w/ironing board. Complimentary wired and wireless Internet access keeps you connected. Private bathrooms with shower/tub combinations feature complimentary toiletries and hairdryers. Conveniences include a living area with sofa sleeper, desks and housekeeping is provided daily. Don’t miss out on recreational opportunities, including an indoor heated pool and work out in the on-site fitness center. Stay connected in our full business center. Enjoy our complimentary full hot breakfast and freshly brewed coffee 24 hours a day.